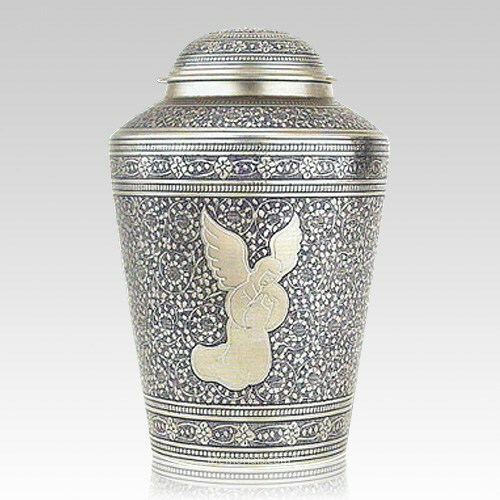 The Angel in Prayer Cremation Urn is made from cast pewter and features intricate etching that is filled with a violet-colored enamel. 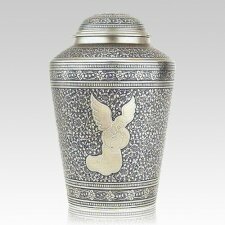 The urns have excellent lacquer coating to preserve its brilliance. The urn will create a peaceful memory for eternity to come.